Deadheading is the term used for the removal of flowers from plants when they are fading or dead. 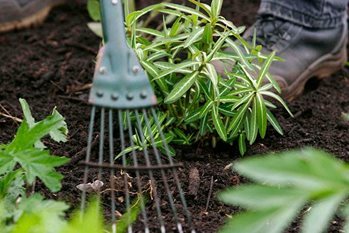 It is done to keep plants looking attractive and encourage more blooms, whether in beds and border, containers or hanging baskets. Remove the spent flowers as soon as they look scruffy. In practice, gardeners usually have to remove them as soon as they can and, thankfully, a few days delay won’t make a difference. The simplest method is to just pinch off the faded blooms with finger and thumb. Aim to remove the flower with its stalk to ensure the plant looks tidy. To deadhead plants with tough or stringy stems, use secateurs, scissors or a knife. This includes dahlias, calendulas, marigolds and shrubs such as lilac.